WASHINGTON -- Senate Minority Leader Chuck Schumer slammed Donald Trump's Cabinet picks the morning of the next president's inauguration, saying it is too soon to know if all of the nominees will be confirmed. "It's too early to tell," the New York Democrat told CNN's Chris Cuomo on "New Day" on Friday. "This Cabinet selection has been a disaster for the president. We call it the swamp Cabinet." Schumer said that the nominees have values that are inconsistent with those of the man who nominated them. "More conflicts of interest than you have ever seen," he said. "People whose positions are fundamentally different than President-elect Trump's." Schumer said that even though "these Cabinet nominees need scrutiny," his Senate Republican colleagues "have tried to rush them through." He complained that some nominees had not fully completed the paperwork required by the ethics office in a timely fashion -- citing education secretary nominee Betsy DeVos. "You're required by law to file an ethics report and how do you get rid of your conflicts of interests? Ms. Devos, controversial secretary of education nominee, didn't file any papers and they put her on at 5 o'clock at night," he said. "Each senator only got five minutes of questions." But Schumer did have some positive comments about a few of Trump's picks. "There are some not controversial. We're not opposing for their own sake," he said. "I think (retired Gen. James) Mattis is a good choice for defense secretary. We'll vote on him this afternoon." "I think (retired Gen. John) Kelly is a great choice for homeland security. We'll put him up today and (Rep. Mike) Pompeo for CIA, which is a little bit more controversial ... but if he's not voted on today, he will be Monday," Schumer said. 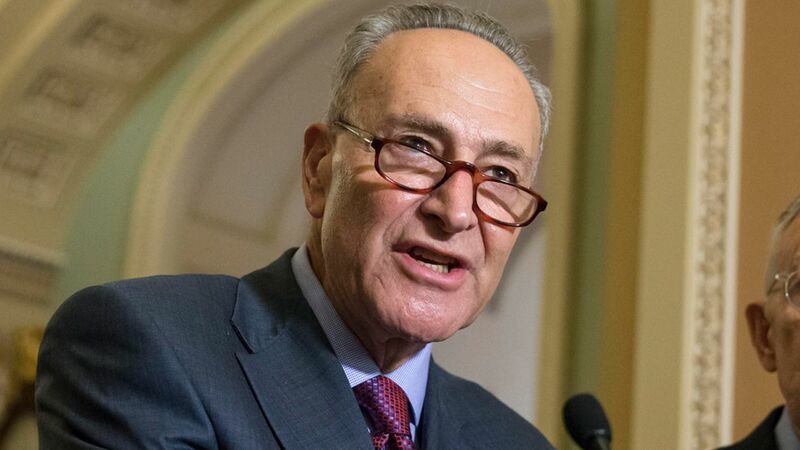 Schumer defended the amount of time senators have spent grilling other nominees. "To spend a few days on people as controversial as (Rep. Tom) Price or Devos or (Labor secretary nominee Andrew) Puzder, who's so been against the working man and woman -- to take a few days in power for four years, tremendous say over the lives of ordinary Americans, of course that's what we should do," he said.